Following its celebrated premiere and subsequent nomination for "Best Dance Performance" in 2017 by SF Classical Voice, Post:Ballet's Lavender Country collaboration returns to the stage to kick off our Season:Ten programming. Highlighting singer/songwriter Patrick Haggerty and his Lavender Country band, with choreography by Vanessa Thiessen and direction by Robert Dekkers, this one-act program is a moving celebration of unconditional love and radical defiance. Released in 1973, Patrick's band’s self-titled album ‘Lavender Country’ was a bold statement against the establishment and generated outrage as country music’s first openly gay record. 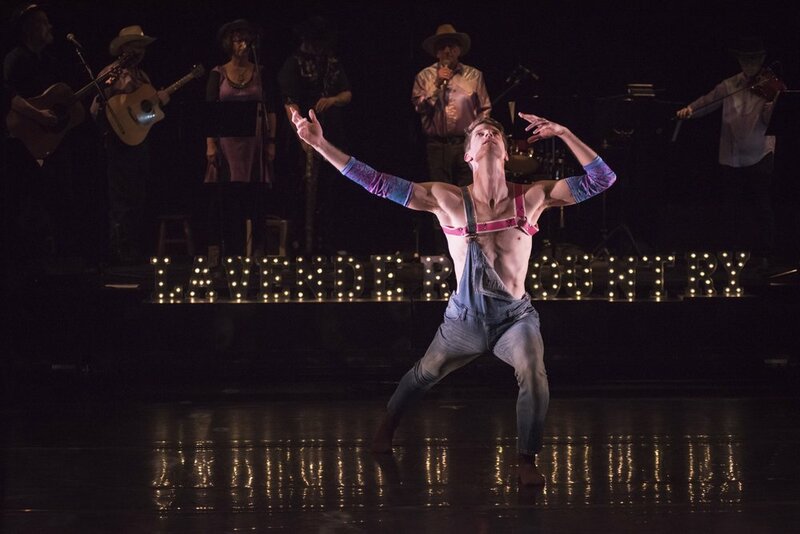 Post:Ballet’s Lavender Country production reflects on Haggerty’s radically defiant message, pushing up against ballet’s inherently traditional gender roles and exclusivist roots to create a dramatic, poignant performance focused on queer relationships and human narratives. Haggerty’s music uses “Lavender Country” as a metaphorical landscape, a safe place where people can come to be their true selves. The work focuses on human stories, heightened by characters who love, search, and bleed in ways that are painfully visible specifically because of their unchosen differentness. Post: and Haggerty believe that audience members, regardless of orientation, will connect with Lavender Country as vulnerable, sexual, and innately human beings. Audience members are invited to participate in our “Dress West to Impress” costume theme for this production!